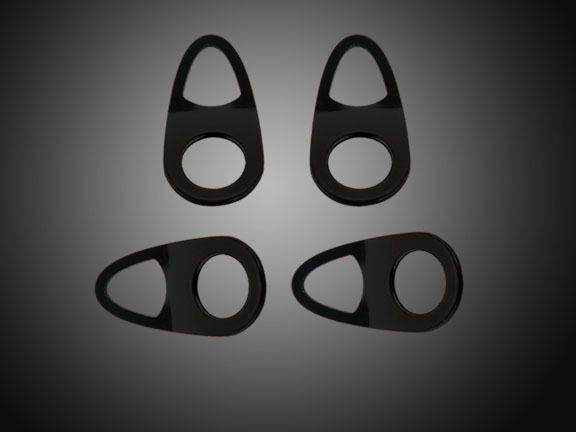 Custom contoured Goldwing GL1800, GL1500 Seat Tie Down Brackets from Big Bike Parts are the ideal way to attach bungee hooks to your Goldwing seat with little worry of damaging your seat. 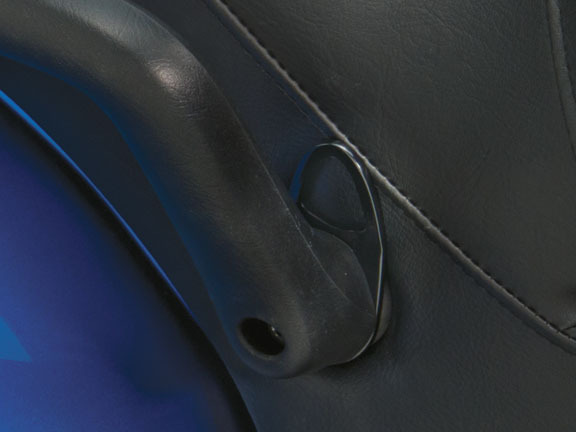 These bungee hook brackets are shaped for easy use and mount behind the left and right seat handles. 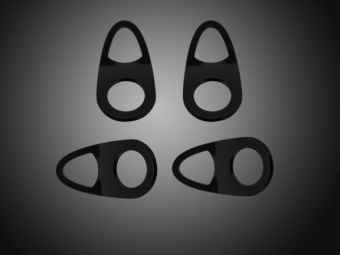 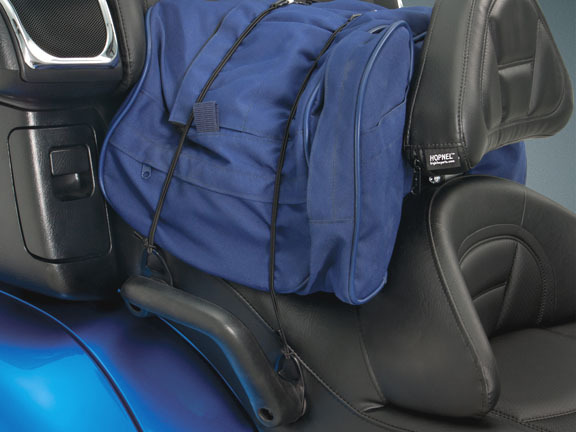 Come as a 4 piece set in black powder coat finish, providing 4 points to easily secure load you want to strap down.